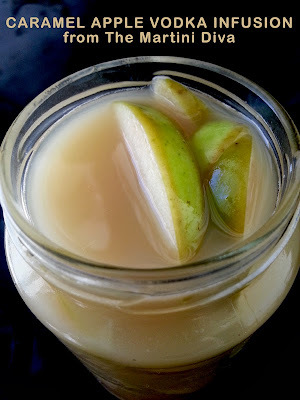 Perfect for Halloween - Great for Caramel Apple Lovers! I have to tell you I was blown away by how much this tasted like a caramel apple! They're one of my favorite treats and when I started this infusion I had no idea how much I was going to love this flavored vodka! After only a few hours I was tasting caramel apple - after a few days it was so good I actually danced around the kitchen with the bottle! I'm kind of addicted now. Decorative Bottle with swing cap. Pour in the caramel sauce, test the mixture with your finger for sweetness level. Allow to infuse for a minimum of 24 hours up to a week. (I was getting caramel apple flavor in just a few hours!) Infusion time depends on the strength of the apple flavor you want. Strain through a coffee filter lined metal strainer into your decorative bottle. Add a fun, personalized label and enjoy or use as a gift! Combine all the ingredients in a saucepan and heat on medium low, gently whisking constantly, for about six minutes or until the sauce begins to thicken. Add your vanilla and the salt and continue to heat on medium low until the sauce thickens a bit more. Remove from the burner, allow to cool then pour sauce into a clean, sterilized jar with a sealed lid. 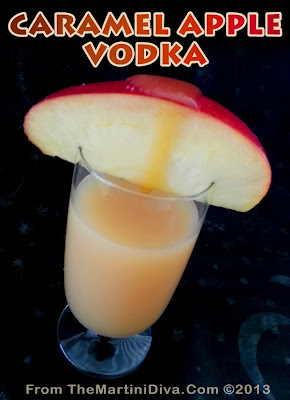 This cocktail is a classic Vodka Martini dressed up with Blavod's Black Vodka and julienned carrot strips as whisker garnish. 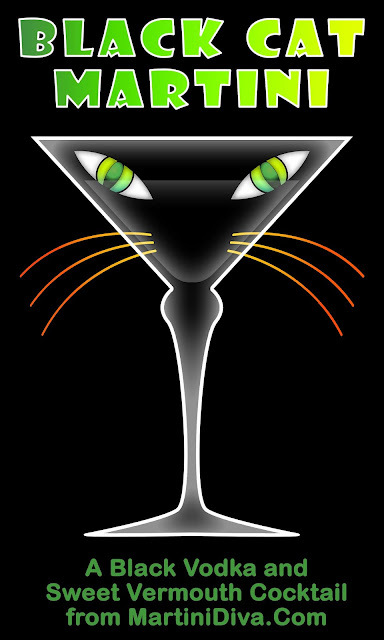 It's thr perfect drink for Friday the 13th, a fun serve on those black cat holidays and is also a great Halloween martini. Add ingredients to a cocktail shaker filled with ice and shake until icy cold. National Black Cat Day is October 27th, National Black Cat Appreciation Day is August 17th.